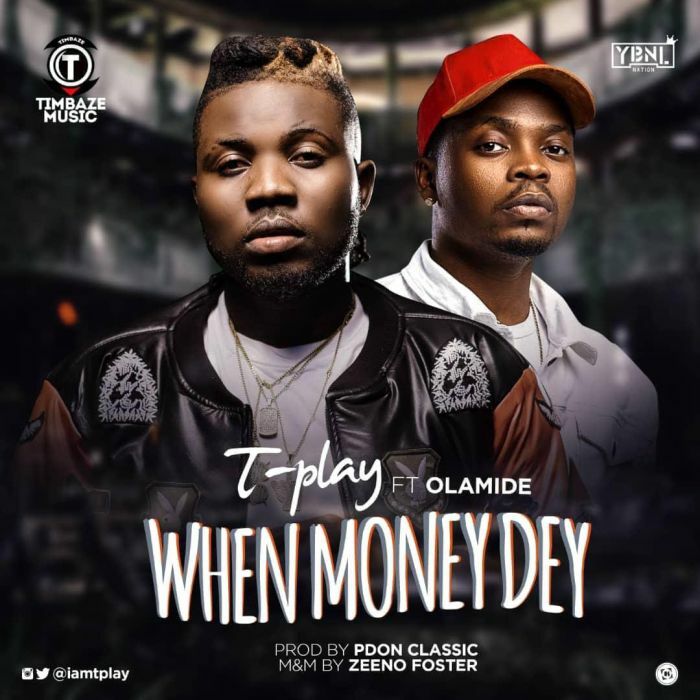 Download Music Audio and video titled ''When Money Dey'' By #TPlay featured the YBNL Boss, #Olamide. The song was produced by PDon Classic and the music Video was directed by winning award Director, Unlimited LA. Watch and download When Money Dey Below. Timbase Music singer “TPlay” whose recent effort ‘Naija To Oversea ‘ has got recognition home and abroad makes a new statement with a new single titled, ‘When Money Dey‘ featuring the YBNL head Honcho, Olamide.